2 What Are Water Filter Pitchers? 2.1 How Do Water Filter Pitchers Work? 2.1.1 What Is A Carbon Filter? 2.1.2.1 What Contaminants Do They Remove? Having access to a clean water source is one of the basic human needs. But do you know how clean the water reaching your faucet really is? 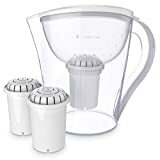 In the following article, we present the best water filter pitchers available on the market in 2019. We also explain why it’s better to use a water filter pitcher than drinking bottled water, and the advantages of drinking filtered water. Check out the filtered water bottle reviews to take clean and fresh water with you wherever you go. 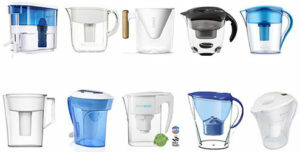 We also prepared some water filter pitcher reviews for you to look at. All the models we presented are better than your average water filter, and some of them are actually some of the best models you’ll find. You want to buy a water filter, but you don’t know which to choose? You’ve come to the right place. We’re confident that after reading out water filter reviews and the buying guide you’ll be able to make an informed decision on which one is the best for your household. 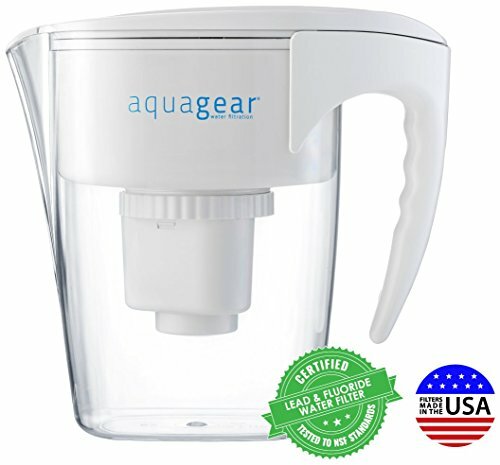 The Aquagear water filter pitcher uses some of the best water filter cartridges from all the pitchers we included on our list. Not only will their filter remove most of the usual contaminants in your water, but it will also remove some of the more difficult ones, such as lead or fluoride. One of the advantages of choosing this water filter pitcher is that it comes with a lifetime guarantee for the pitcher. If it breaks, chips, or if it presents any defects, you can request a new one from the manufacturer. Removes Fluoride – This water filter model is certified to remove up to 90% of the fluoride in your water source. This is a great feature, one you could only see when using a reverse osmosis system in the past. Long Lasting Filters – The filter cartridges used by this manufacturer have a good filtering capacity. Each filter can last up to 3 months. 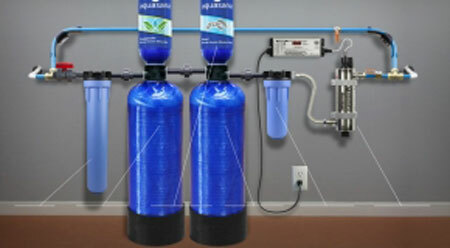 Slow Filtering – Even though the filter cartridges used by this filter are very effective, they filter the water slowly. You have to be patient for a pitcher to fill. No Reminder – This model doesn’t use a reminder system to notify you when to change the filters. 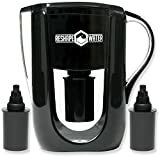 This water filter pitcher is great for filtering the contaminants out of your water and making it more alkaline at the same time. Drinking alkaline water has many beneficial effects on your body, so using this filter is a good way to stay healthy and hydrated. Invigorated Living did a great job designing this pitcher filter. With a slim appearance and an ergonomic handle, you will be able to move, pour, and store the pitcher with ease. Comes With 2 Filters – This filter comes with 2 water filter cartridges. Each of them can last up to 3 months, so you can get up to half a year of filtered water without additional expenses. Filter Change Reminder – You don’t have to trouble yourself memorizing when you last changed the filter. The reminder will notify you when it’s time for a new one. 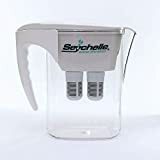 Seychelle’s water filter pitcher uses two filter cartridges instead of one for a faster water filtration. 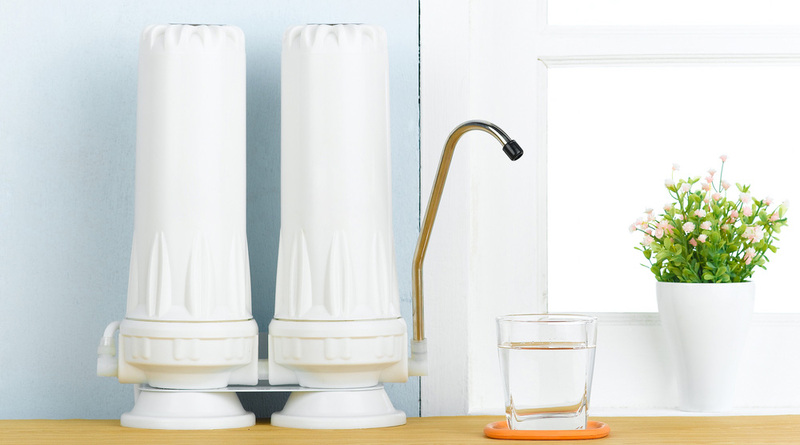 This is a good way to make sure you always have filtered water at your disposal. Not only are the filter cartridges very fast when it comes to filtering the water, they’re also very effective. They are capable of removing up to 99.99% of the usual water contaminants, producing a clean and healthy water. Food Grade Materials – All the filter’s components that come in contact with the water are made out of food grade materials. This is great because they won’t pollute your drinking water. Filters Are Prone To Clogging – These filters are very effective at removing contaminants, but they’re also prone to clogging. You should only use the filters on municipal water and avoid well water. You should also avoid filtering salty water, as even salt can clog the filters. Not Good For Hard Water – The minerals responsible for hardening the water can also clog the filters. 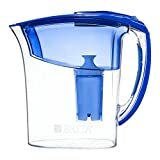 This Alkaline Water pitcher has a great design and it’s capable of filtering and alkalizing the water at the same time. One of the advantages of using this model is that it comes with not one but two filter cartridges. This means you’ll benefit from the healthy effects of alkaline filtered water for at least 2 – 3 months without making another investment. 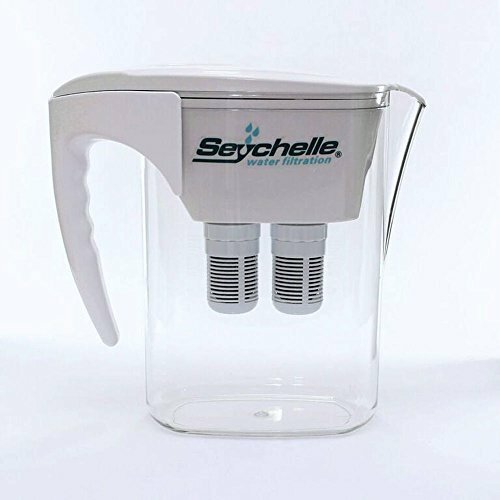 Another advantage of using this water filter pitcher is its fast filtration rate. This model is capable of filtering 0.33 gallons (1 Liter) of water in under 15 minutes. 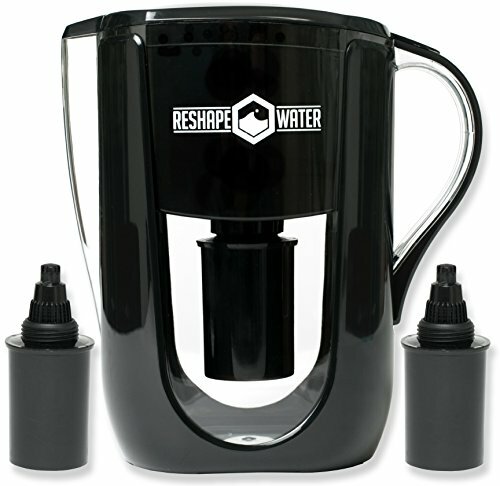 Remineralized Water – This water filter pitcher will add minerals to the water, increasing its nutritional value. Commercial Grade Pitcher – This model’s pitcher is made out of thick ABS plastic. This plastic is more durable than the one used by other manufacturers, so it should last longer. Filters Are Hard To Change – More customers complained that the filters used by this manufacturer are difficult to change. Even though you don’t have to change them often, this can be annoying. Filtering Rate Differs – Even though this filter produces fresh water at a surprisingly fast rate when the filters are new, the filtering rate will slow down over time. 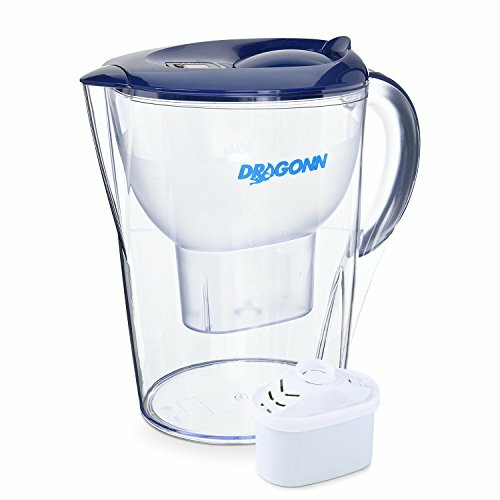 The water filter pitcher produced by DRAGONN uses one of the most complex filter cartridges from all the filters we included on our list. 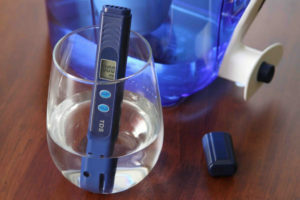 This cartridge uses multiple technologies to remove the contaminants from your water, treat the water with infrared energy, and soften it by raising its pH. Another advantage of using this model is the large pitcher it comes with. The pitcher has a capacity of 1 gallon, so you won’t have to refill it too often during the day. 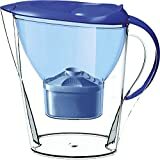 Good Water Alkalizer – This water filter pitcher is not only good at removing contaminants from your drinking water. It is also very effective at raising the water’s pH, making it more alkaline and healthier. Good At Remineralizing – The mineral filter used by this pitcher will add valuable minerals to your water source, increasing its nutritional value. Filters Get Clogged Often – The filter cartridges get clogged up more often than the ones used by others manufacturers. When this happens, you have to take them out of the pitcher and rinse them thoroughly. Filters Don’t Last Long – The filter cartridges will only last for about 1 – 2 months. Even if they don’t last long, they do a great job at filtering the water. 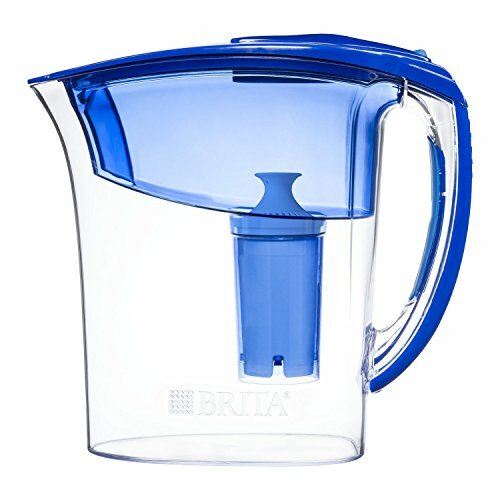 Brita is one of the world leading water filter manufacturers. One of the advantages of using their products is the very efficient filter cartridges they produce. Their filters are specially designed to remove most of the contaminants in your drinking water and to provide a steady water flow. Another advantage of using Brita is that they use a notification system to let you know when to change the filters. The signal is green until the filter cartridges get close to their maximum capacity when it turns yellow. When the signal turns red, you have to change the filter right away. 10 Cup Pitcher – The pitcher is able to hold up to 10 cups of water. This is a good feature, as you won’t have to refill the pitcher too many times during the day. Great Filters – Brita filter cartridges use multiple technologies to produce a great tasting and clean drinking water. Faulty Lid – Even though the pitcher has a good ergonomic design, the lid is not very well designed. The lid tends to fall every time you use the pitcher, so you risk contaminating the filtered water or spilling. The pitcher water filter developed by Lake Industries is a great filter that comes at a good price. The filter will remove most of the usual contaminants from your drinking water, and it will also alkalinize it. 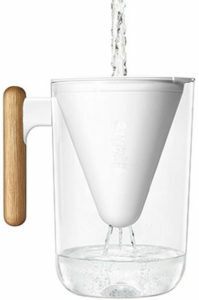 One of the advantages of choosing this filter pitcher is its clever ergonomic design. The design allows you to handle the pitcher with ease. You will be able to lift it, pour, and store it without spilling water. Another advantage of using this filter is its clever mineral filter. This filter will add valuable minerals to your drinking water, and it will also reduce the sizes of the water molecules increase their absorption rate. Cheap Filters – Even though this filter’s cartridges are very efficient, replacing them doesn’t cost much. This is a major advantage if you plan on using the filter for a long time. Good Alkalizer – This model’s filters are very good at raising the water’s pH. This will make the water healthier, as drinking alkaline water offers a lot of benefits. Fake Reviews – This manufacturer will send you a free filter cartridge if you give a 5-star rating to the filter. While this is a good way to receive a free filter, it means the real rating of the product is lower. 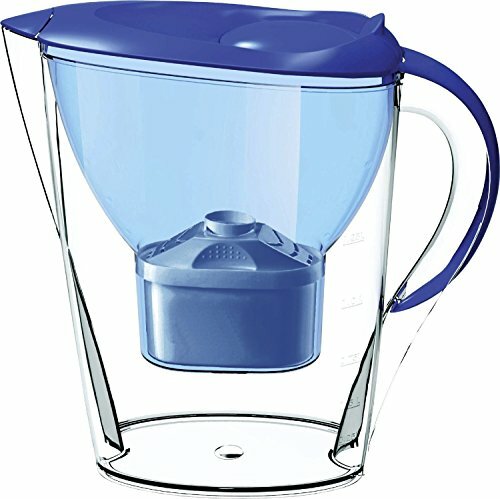 The PUR pitcher water filter is a popular model that comes with an 11-cup pitcher. The system is capable of removing most of the contaminants in your water source, including mercury and pharmaceutical traces. All the materials used for this filter’s construction are made out of BPA-free plastic. This eliminates the risk of having them leak into your drinking water after you use the filter for a longer time. The filter comes with a light filter change notification signal. The LED light will notify you when it’s time to change the filter cartridges so you won’t have to worry about them. Slow Filtering – This unit filters the water slowly. This might be a problem for some people, especially those with larger households. Inefficient Softening – This model softens the water, but only by a small degree. The CamelBak water filter pitcher is the perfect solution for people who don’t like drinking chlorinated water. If you tested your water and all the other parameters except chlorine have good values, this is the model for you. 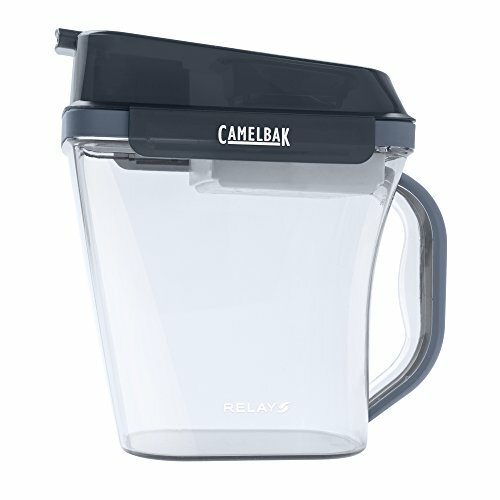 This water filter pitcher has the fastest filtration rate. It uses a double filter to remove the contaminants in your water, and it does it fast. However, one of the disadvantages of using this model is that it won’t remove a lot of contaminants. In fact, this model will only remove the larger particles from the water, such as rust, dirt, and sand, along with the chlorine, bad smells, and tastes. Long Lasting Filters – This model’s filters can last for up to 4 months of continuous use. This is an advantage, as it will lower your maintenance expenses. Cheap Replacement Filters – This model’s replacement filters are easy to find, and they’re very cheap. You can buy a whole set with the same amount you would spend on a single filter developed by another manufacturer. Ineffective Filters – The filter cartridges are good only for removing large particles, bad smells, foul tastes, and chlorine from the water. These contaminants represent only a fraction of what other models can remove. We said it once, and we’ll say it again. Brita is one of the world leading water filter manufacturers, so it’s only normal for their filters to be very efficient. One of the advantages of choosing this model is that it comes with a Brita cartridge filter. Brita cartridge filters use multiple technologies to eliminate most of the contaminants from your water. The cartridge will also soften the water by a small degree, improving its taste and making it healthier. Another advantage for choosing Brita is that their filters are easy to change. The instructions manual gives you valuable information on how to change the filters, and there are also video tutorials you can watch online if you encounter any problems. Filter Change Notification – This filter uses a sticker notification system to let you know when it’s time to change the cartridge filters. 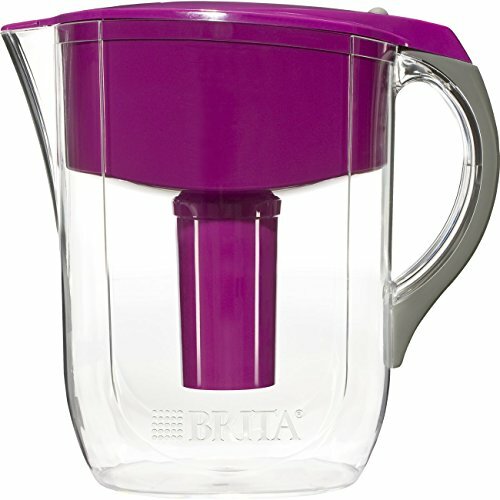 If you don’t want to use this system, Brita can also email you whenever it’s time to change them. Fast Filling – The filter cartridges used by this filter are capable of filtering the water quickly. This is a very important feature since the pitcher has a small capacity. Small Pitcher – This model’s pitcher has a small capacity, so you’ll have to refill it often throughout the day. Water filter pitchers are self-contained, fully functioning water filters that produce clean drinking water. Water filter pitchers come with a water container capable of holding different volumes, depending on the model. These filters are usually made out of a lid, one or two filters, and a container with a variable capacity. Water filters use an activated carbon filter or a cartridge filter to block the contaminants flowing in the water. When you pour water into the pitcher, it will first enter the filter where the contaminants are removed. The water then slowly drains into the actual water container. When you want to pour the water into a glass, a bypass system allows it to exit the pitcher without passing through the filters on its way out. Physical Activation Through Carbonization – During this process, the source material is activated at temperatures between 600 – 900 degrees C (1112 – 1652 F) in an inert atmosphere, usually in the presence of nitrogen or argon. Chemical Activation – This process differs from manufacturer to manufacturer, but the principle of the process remains the same. Before the source material is carbonized, it is impregnated with different chemicals. The chemicals used are usually strong acids, bases, or sometimes salt. Most manufacturers use potassium hydroxide, calcium chloride, sodium hydroxide, and zinc chloride for this process. Impregnating the source material before the carbonization makes the raw material easier to activate. Usually, the carbonization temperatures are lower (450-900 C) for impregnated materials. This is why the chemical activation is preferred over the physical one because the temperatures are lower, the activation time is shorter, so the manufacturer’s expenses are lower. An activated charcoal carbon filter works using a natural phenomenon called adsorption. Absorption is the natural tendency of the atoms in a liquid, gas, or dissolved solids to adhere to a surface. The activated charcoal has a very porous surface, and the nooks and crannies in its surface offer a lot of space for the ions to enter, trapping them. Thanks to its high porosity, a gram of activated carbon offers an adsorption surface of roughly 32,000 square feet. When the water enters the filter, most of the ions of the contaminants in the water will adhere to the porous surface of the carbon. This will make the water cleaner and healthier. After a shorter or longer period, the porous surface of the carbon is eventually filled with different particles, so the filter won’t be so efficient at trapping new ones. This is why you should periodically change your filters, as the manufacturers instruct. If you’re looking for a water pitcher filter, you must have noticed that some of them use cartridge filters. What exactly is a cartridge filter? Well, a cartridge filter is a more advanced filter used by some manufacturers to filter out the contaminants in your water. Even though the cartridge filters use an activated carbon filter, they also use other technologies to provide a better tasting water. Some cartridges will pass the water through 7 different filtering stages before releasing it into the water container. They use ion exchange resins, mineral balls, activated carbon, and tourmaline to filter the water. Find the best water ionizer for your home with our guide. Ion exchange resins are actually tiny beads of the resin filled with sodium particles. When magnesium and calcium particles come across a resin bead, they are attracted to its surface and they adhere to it. The sodium in the beads is exchanged for the new particles, and the magnesium and calcium ions are trapped. The sodium is released into the water, but being in a small quantity, you won’t be able to tell it’s there most of the times. Mineral balls add minerals to your drinking water. When the water passes through a filter, some of the good minerals it contains are also filtered out. This makes the water poorer in nutrients and less healthy. The mineral balls solve this problem by adding new minerals in the water after it’s filtered. This increases the water’s nutritional value, so it makes it healthier for you and your family. Tourmaline is a mineral that is capable of conveying a small electric current. This current resonates within the far infrared spectrum (FIR) with that of the water. This interaction makes the water molecules resonate with FIR frequencies. The frequencies are the same in your body, so your metabolism will increase after consuming water treated with tourmaline. Carbon filters are very effective at removing some contaminants from your drinking water, but they are not capable of removing all the contaminants in a water source all by themselves. Chlorine – usually used as a disinfectant for municipal water, chlorine not only changes the water’s taste, but it is also related to several diseases. Activated charcoal filters will trap most of the chlorine in the water, so you won’t taste it anymore. Trihalomethane Compounds – These compounds are usually present in the water as a by-product of the chlorine treatment. The result after chlorine interacts with the organic matter in the water. Many studies have linked this compounds with several illnesses, and governments set limits so they won’t threaten the life and well-being of the citizens. However, it would be better to avoid them at all cost, so a water filter will help in this regard. Volatile Organic Chemicals – Usually called VOCs, these chemicals are found in the composition of most herbicides and pesticides. The chemicals are used for soil treatment, but some of them will find their way into the water. They might present some problems, especially if they’re ingested by the young or the elderly. Giardia – Giardia is a protozoan parasite that causes giardiasis. Giardiasis is an illness that might last up to six weeks. The symptoms include but are not limited to abdominal pain, diarrhea, and weight loss. Some people might also experience fever, vomiting, and blood in their stool. Giardia spreads through its cysts. These cysts can survive up to 3 months in cold water, so once a water source is infested, it’s hard to completely clear it. Cryptosporidium – Cryptosporidium is another protozoan parasite blocked by the carbon filter. Cryptosporidium can cause a gastrointestinal and respiratory illness called cryptosporidiosis. This illness can affect the distal small intestine and the respiratory tract causing watery diarrhea and an unexplained cough. This is a particularly dangerous disease for people with a compromised immune system when it can actually be fatal. A cartridge filter will be able to remove other contaminants as well, as the other technologies involved will target specific components. There are a lot of reasons why you should use a water filter pitcher in your home. The most important reason is the purer, healthier water they produce. Another reason is that the water you drink is usually not as clean as you believe. Tap water travels for miles through a usually old system of pipes before it reaches your faucet. Even though the water might be very clean as it leaves the municipal water treatment facility, traveling through the pipes might contaminate it. All sort of contaminants can be found in old pipes, and they include bacteria, heavy metals, fungi, microorganisms, and harmful chemicals. A water filter pitcher is an inexpensive solution to this problem. All the water you put into the pitcher is treated in about 30 – 60 minutes, and most of the harmful contaminants are removed. There are a lot of health benefits for drinking filtered water. No Chlorine – Chlorine can be harmful to humans, and a lot of studies have linked chlorine consumption with different illnesses. Less Lead – A large amount or even all of the lead present in your drinking water can be filtered. This will lower the risk of contracting a disease brought by lead ingestion. No Plastic – Some of the plastic in the bottles used for storing water might be harmful to your health. Most manufacturers offer clear instructions on how often to change the water filter. However, this period might vary according to the contamination level of your water source. If your water is heavily contaminated, you will have to change the filters more frequently. Changing the water filters for your water filter pitcher will take up to 10 minutes every 2 – 3 months, and even though this process will vary according to your model, here is how it’s usually done. The pitcher is now ready to use. When you see that a pitcher is made out of BPA-free materials, it means that the plastic used in its construction does not contain chemicals that might seep into the water polluting it. The filters will filter out contaminants for more or less time, depending on the contamination level of your water source. If your water is highly contaminated, the filters will clog up faster. Usually, you will only have to change the filters once every 2 -3 months. The easiest way to tell when the filters need changing is to mark the date you installed them in a calendar, or somewhere you can see. This will be a constant reminder. You can also change the filters if you notice the water is draining slower than usual, or if its taste changes. Water filter pitchers offer a simple and inexpensive solution to filtering your drinking water. Whether you drink water from a well or the municipal pipes, the water reaching your faucet might not be as clean as you think. The pitchers we presented will not only improve your drinking water’s taste and odor, they will also improve your overall health. Access to clean water is one of the basic human necessities, and these water filters produce a high-quality water at a cheap price. 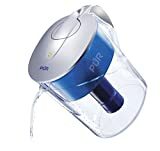 We’re certain that after reading our water filter pitcher reviews and the comprehensive buying guide, you are able to determine which is the best water filter pitcher for your home. My name is Amy and I am the executivie customer service support specialist for Invigorated Living, the #1 pitcher on your site. First…thanks so much for finding our product and having it such a great light. I wanted to let you know that both of your cons are wrong, and I am kindly asking that you remove them. 1.) we DO NOT give out free filters, and I hate to say it, but I think your articles suggests that we do and then thinks we are shirking them when we say that we do not offer this. We let our superior product speak for itself!! Again, I ask that this comment please be removed. 2.) There is not overfilling issue with this product. I believe you have old information from previous models. Again, can you please remove this as it is simply not true! Hi Amy, Thank you for the clarification. We have updated our review.